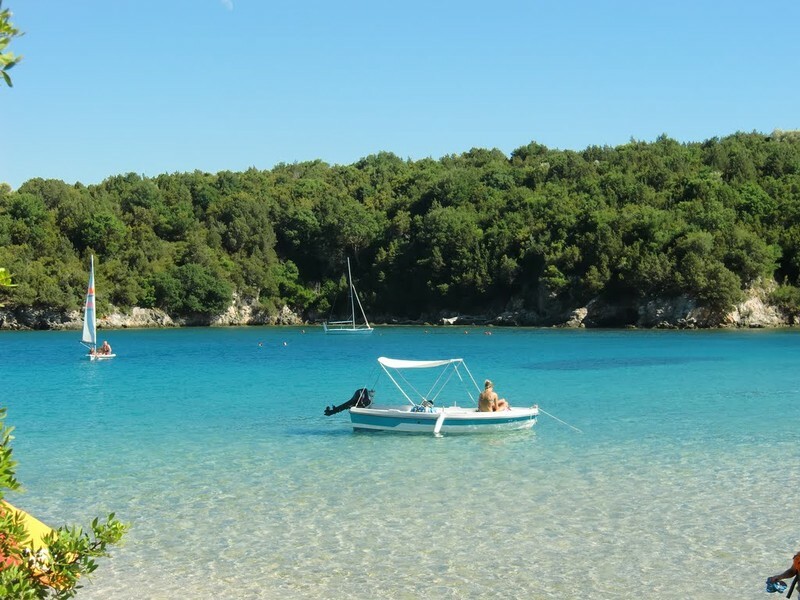 Enjoy yourself with us by a day trip to the Greek mainland of Epirus (opposite Kavos) at the Islands of Nea Sivota and not only! Departing from Corfu´s harbour, we have a unique view of the old town, the Royal palace, and the two Venetian fortresses. Heading towards the south of Corfu we see the Kanoni peninsula and the palace of Mon Repos where Prince Phillip from England was born. 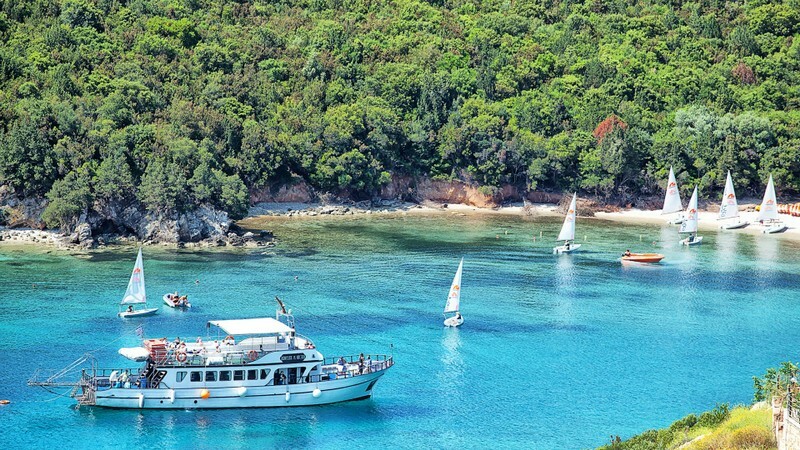 Then we sail southeast and we pass parallel from Igoumenitsa, which is the capital city of Thesprotia and the third International port in size in Greece. Soon we will arrive at the traditional marina village of Platariathat attracts dozens of yachts during the summer season. There you will have plenty of time to stroll along the village, to visit the souvenirs shops, or to have a drink in one of the traditional cafeterias under the shadow of Plane trees. 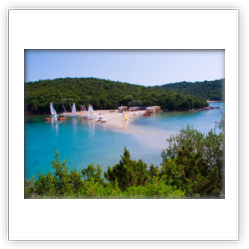 According to our schedule we will leave from this beautiful place and soon we will arrive at the picturesque bay of "Piscine" where the famous film "Blue Lagoon" was filmed. Old historians say that there in the Middle Ages Arabian pirates´ ships used to moor close to this bay. We will stay there on anchor for 1 hour and you will have the opportunity to swim at the exotic blue waters of the Blue Lagoon or to try your luck at champagne diving. 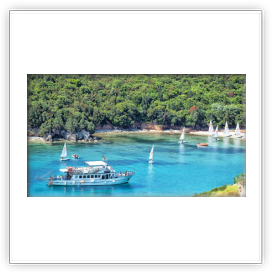 We leave behind us this exotic place and in a while the ship will enter the breathtaking cave of Sivota. There during the Second World War the Greek Sub Marine was hiding underneath the lighthouse, mostly known"Papanikolis". 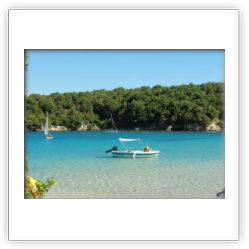 As next destination we will visit the traditional village port of Sivota. Also there you will have plenty of time to stroll along the village, to explore the souvenirs shops and to enjoy your lunch in one of the traditional taverns of it. (Lunch is included). 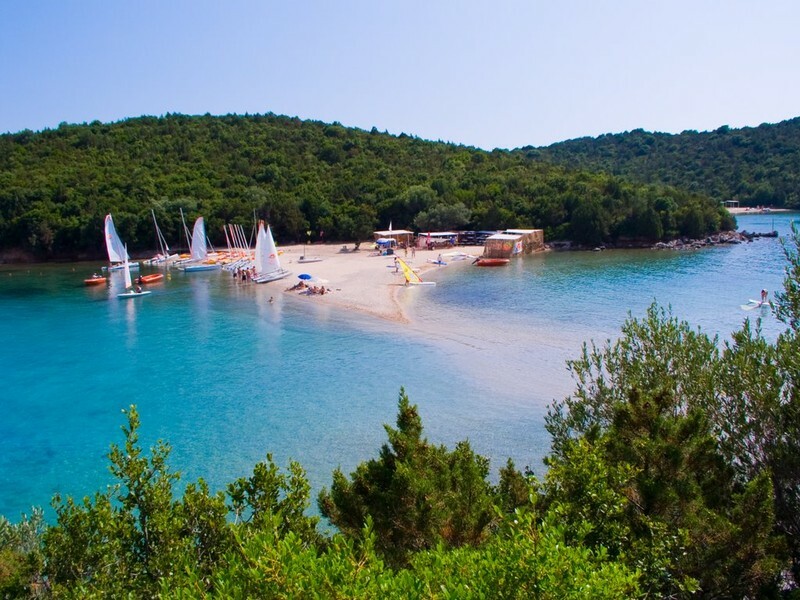 On the way back we will sail around the historical small islands of Sivota, where they´re in the summer of 432 B.C. the greatest Naval Battle between the "Corcyrians Fleet" and the "Corinthian Fleet" took place so the Second Peloponnesian War began that lasted for 30 years. Still, today many of the sunken vessels of that period relies remain at the bottom of the sea. During your trip you can enjoy the sun and have refreshments, which may be purchased from the board bar. Ouzo for the adults and a soft drink for the kids, are included in the price. We look forward to meeting you on board and are certain that your trip to Mainland will be an unforgettable one.